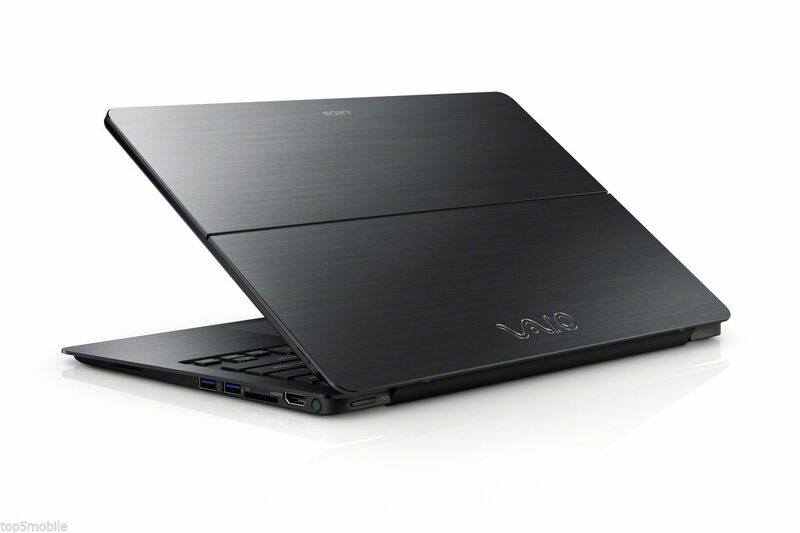 The Sony VAIO Fit 14A / Flip known for being a best selling convertible laptop along the price range of $698-$1799. This Sony SVF14N13CXB model, weighing just 4.32 lbs, sports a 4th generation Intel Core i5 processor and an Intel HD Graphics 4400. That alone screams multimedia and mobility without being too bulky or burdensome for travelers and users who often prefer taking their laptops with them. The well built and durable Sony VAIO Fit 14A / Flip convertible ultrabook SVF14N13CXB considered as one of the highest rated convertible touch laptop in consumer reviews. 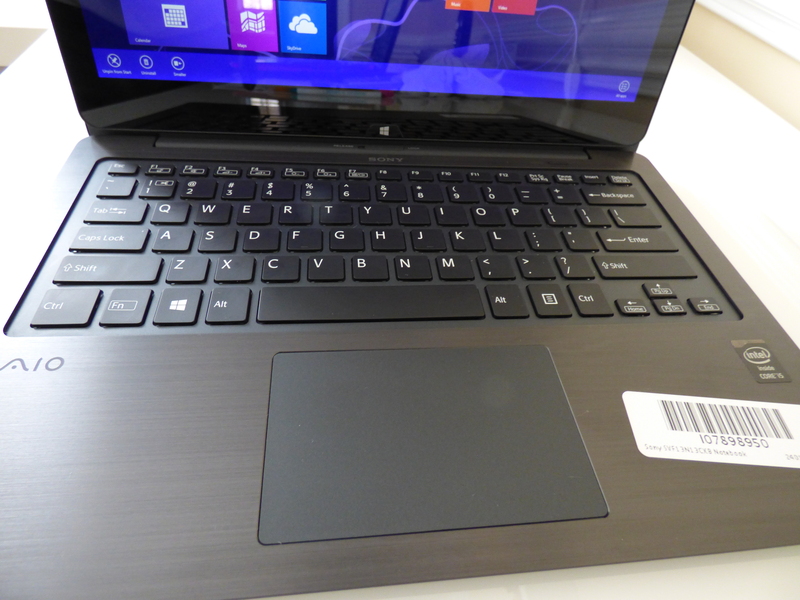 In addition, the Sony VAIO Fit Flip series features an astoundingly impressive design. What makes this particular model stand out is its aluminum shell that sheaths the SVF14N13CXB ‘s ultra fast booting technologies. 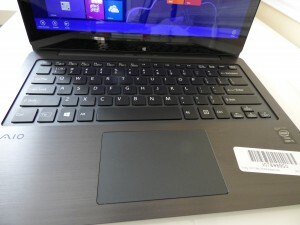 Its angular and edgy metal casing makes it stand out among other ultrabook brands (even Apple). Its bright and vibrant 14″ Full HD touch screen is ideal for making presentations or simply lounging back to watch a movie. Lastly, its average battery life is in the range of 4 hours and 45 minutes. The Sony VAIO Fit 14A / Flip ultrabook is already pre built laptop – a performance beast wrapped in a tiny exquisite bundle of 4.32 lbs. It is a powerful computing tool with all the necessary features any professional would need. Best of all, it’s well built and affordable. To allow it to work at its maximum capacity, the Intel Core i5 processor, 8GB memory and a decent 500GB hard drive. Built with the 1920 x 1080px resolution a Full HD Triluminos display, this 14″ screen premium convertible ultrabook is geared towards consumers who need laptop productivity and tablet mobility. The comfortable keyboard and stylish build makes it the perfect choice for people who want to incorporate some decent gaming and multimedia viewing into their hectic lives. If the priority is to find a lightweight and powerful ultrabook that runs most modern software smoothly, this Sony VAIO Fit 14A / Flip should be on top of the list. The Sony VAIO Fit 14A / Flip convertible ultrabook SVF14N13CXB stand out for having slick and stylish designs without sacrificing massive computing capabilities, portability and durability. This may be the prime reason why the VAIO series will always be included in the top laptop contenders.